This rich and revelatory documentary provides a uniquely intimate portrait of social change in a rapidly gentrifying neighborhood in Rome. Told through thoroughly engaging informal conversations with local inhabitants, the film speaks to important issues at the heart of contemporary social science — issues of history, memory, and voice — as well as to the effects of rapid socioeconomic change in urban neighborhoods. Filmmaker and anthropologist Michael Herzfeld displays an enviable and authentic rapport with his often colorful subjects and elicits from them eloquent, bittersweet, and charming commentary about the culture of Rome and how it has dramatically changed in recent years. The film admirably captures the poignant memories and quiet desperation of men who today face increasing threats to their lives as artisans and shopkeepers and as residents of a once mostly working-class neighborhood amid some of Rome’s most famous monuments. The men’s standing as economic providers and true representatives of the local culture is now threatened by a massive epidemic of evictions and by astronomical cost increases. They nevertheless recall with wry humor the poverty, scandals, and glories of a past that for them is still very much alive and that animates the sun-warmed ocher walls and diamond-shaped cobblestones of their quarter. Constant incursions of raucous traffic, the callous disregard of the rich and powerful, and the relentless invasion of market forces (with their attendant retinue of conniving loan-sharks) have not blunted their appreciative wit or their devotion to a richly variegated history — a history that emerges visibly in the often florid manifestations of corruption, illegality, and rebellion. Taxi-drivers debate the comparative merits of old editions of historical books; a butcher recalls the anti-fascist commitments of a family that has lived in the same house since 1704; a newsagent muses over an old photograph that connects his family’s business to a thousand years of local architecture; worries over rent and factory competition shadow the glowing inventions of a glassmaker’s art; two friends recall moments of knavish wit and bitter tragedy; and the film tracks the sad trail of an evictee in search of a decent living under today´s terrifying pressures. Grime and decay, but also resilient cheer and irreverent banter, suffuse life amidst the intensely local remnants of Church and empire. Monti Moments is a delightful and thought-provoking documentary that will generate discussion in a wide variety of courses in cultural anthropology, urban studies, sociology, European or Italian studies, and popular culture. It was produced by Michael Herzfeld, Prof. of Anthropology and Curator of European Ethnology in the Peabody Museum at Harvard University. 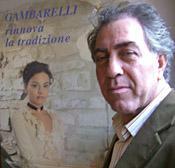 The film is in Italian with English subtitles. "Offers a delightful view into a Rome that remains obscure to the millions of tourists who pass through the Eternal City. It is the Rome of those Romans who see themselves as the proud heirs of the city´s ancient traditions. The film reveals a Rome where people are defined not only by their neighborhoods, but by their micro-location within those neighborhoods, where taxi drivers speak easily of the date the pope fled in the fourteenth century to Avignon and refer unself-consciously to the Bourbon invasion of 1527. The artisans and shopkeepers who point to the buildings that their families have occupied for centuries, the butcher who claims that a common Roman gesture is copied from a papal blessing, offer a sense of place and identity that are as powerful as they are endangered. Humorous and sad, Monti Moments offers rare insight into a Rome that seems to all, and to these Romans first of all, to be rapidly disappearing." — David I. Kertzer, Paul Dupee University Prof. of Social Science and Provost of Brown Univ.